FRAMINGHAM – Massachusetts Lt. 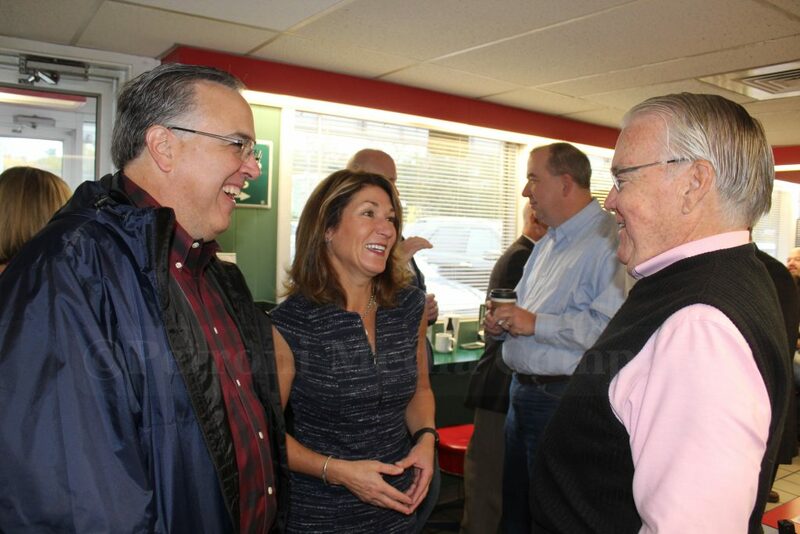 Governor Karyn Polito endorsed John Stefanini to be Framingham’s first mayor this morning, November 6, the day before the election. Stefanini will “focus on the work and get the job done for the people,” said Lt. Gov. Polito. Stefanini is one of two candidates on the ballot tomorrow, November 7 vying to be the City of Framingham’s first mayor. Polls will be open from 7 a.m. to 8 p.m. The Lt. Governor asked the crowd assembled, “how many of you grew up here in Framingham?” A lot of hands were raised. The Lt. Governor commended Stefanini for being involved in his community. “It is a personal passion of mine is to reduce the amount of violence in people’s lives, in particular domestic violence and the whole opioid epidemic. You are working so hard on that front John,” she told the crowd. “You’ve knocked on a lot of doors asking for the vote,” said the Lt. 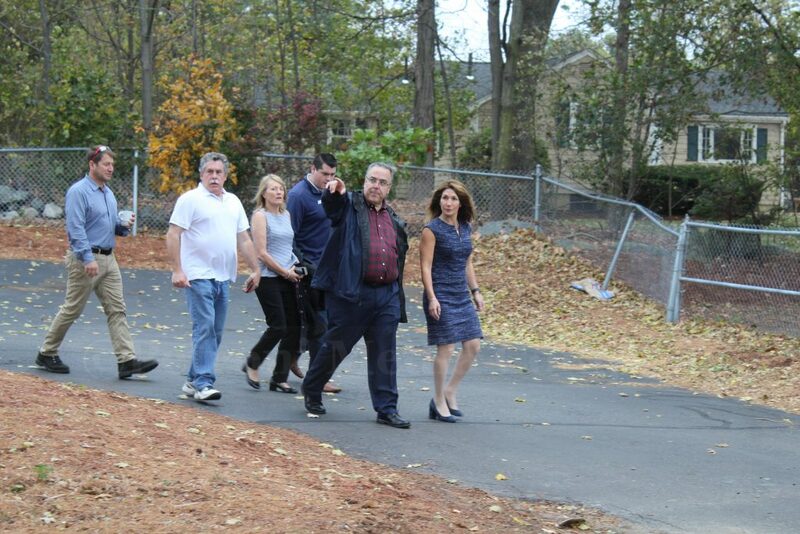 Governor to the former State Representative and former Framingham Selectman. And then she asked the crowd to go out and vote. After the visit to Cj’s, Lt. Gov. 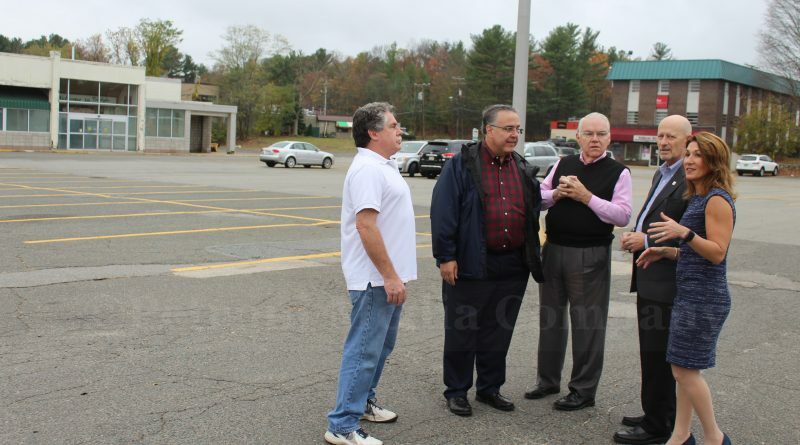 Polito, Stefanini, and several community leaders walked over to the almost empty Nobscot Plaza and discussed economic development and neighborhoods. And then they visited the Framingham Fire station on Water Street and discussed the need to support first responders.